This diagram shows the location of the different cushions used in Roland 88-note keybeds using Style K62U keys. Syntaur part numbers for these cushions are indicated in blue. 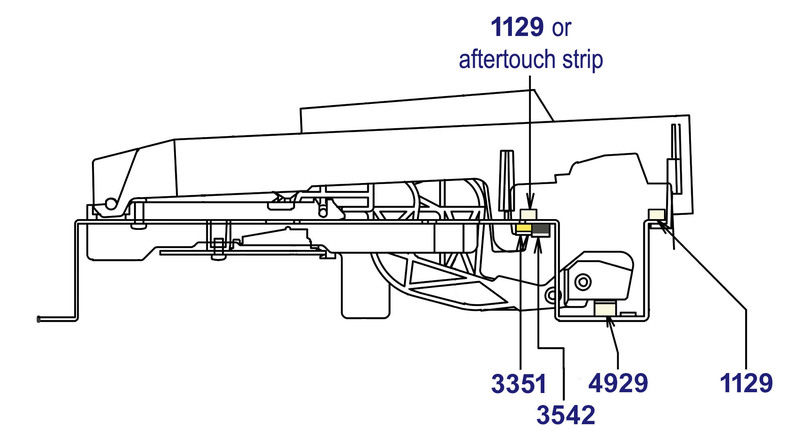 If your keyboard has aftertouch (key pressure), then that sensor will be in place of one of the #1129 strips.